The work of Aurélie Nemours (1910-2005) has long held the attention of Andrei Nakov, who was a frequent visitor to the artist’s studio over the last twenty years of her life. A first text on this important abstract painter’s work appeared in 1985 in the form of an introduction to the catalogue of an individual exhibition held in Paris. 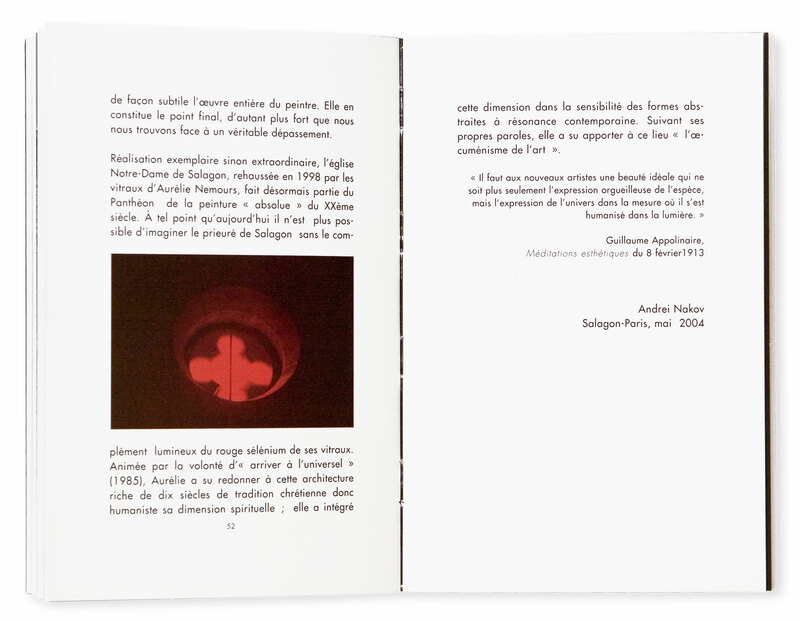 This text was reprinted in the catalogue of the Aurélie Nemours retrospective which took place at the Centre Pompidou in 2004. In the same year, at the request of the artist, Andrei Nakov wrote a monographic study on the stained-glass windows of the Salagon Priory. Set in the heart of the Alpes de Haute Provence, a few kilometres from Forcalquier, Salagon is a superb secularised Roman priory which today belongs to the Conseil Général of the Provence Region. 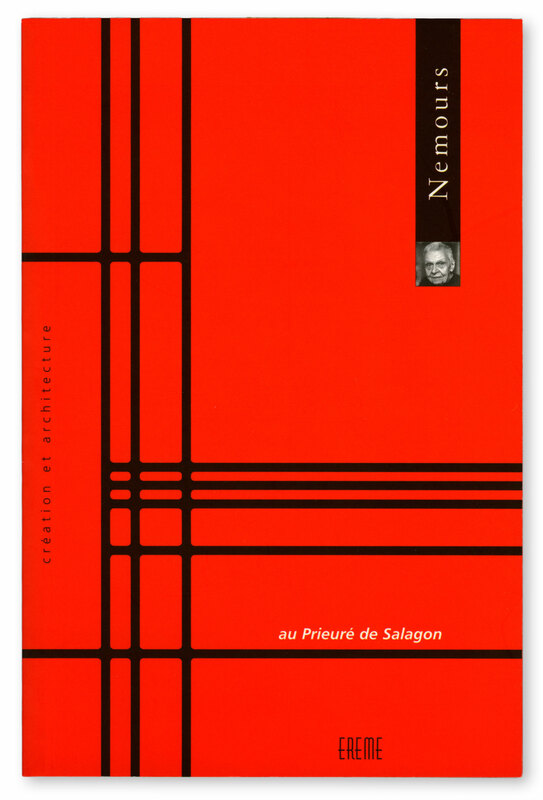 The Ministry of Culture commissioned six stained-glass windows (previously non-existent) from Aurélie Nemours, a major figure in Concrete Art, to whom the Musée national d’art moderne Centre Georges Pompidou devoted a magnificent retrospective in June 2004. With her characteristic rigour, Aurélie Nemours created a work that is austere and demanding, a splash of red colour and lead that imbues the priory with a melody of pure colour and spirituality. This extraordinary creation, which formed both an integral part and the closure of her artistic work, highlights, glorifies and restores life to this sober and refined architecture.